Cuisine based on the proximity of the product, so that more quiality can be obtained and the carbon footprint ca be reduced. The group La Marmita was born in April, 2017 with the determined porpuse of providing the best quality, value and service. In addition, it counts on the best raw materials provided by our environment. La Marmita, which is a restaurant of 'Grupo la Marmita' in the city centre of cadiz, is located in a country house from the 18th Century. It has a hall inside the building with a plain decoration and relaxing environment where our cuisine can be enjoyed. To that end, it is nourished with a professional team who was graduated from the restaurant business school in Cadiz. It also possesses a wide experience in catering and culinary management. 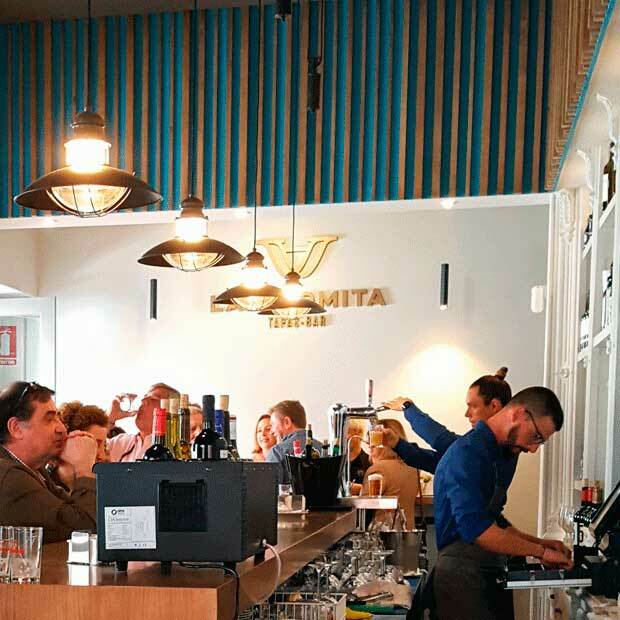 Moreover, La Marmita has a large bar with its own menu, quite bustling and dinamic, in order to share some tapas with a tasty handmade wine or beer. 1- Choose Day and Time. 2- Fill in your information. Des plats délicieux et bien présentés.Des produits simples frais et bien cuits. Très belle adresse.Personnel aux petits soins. 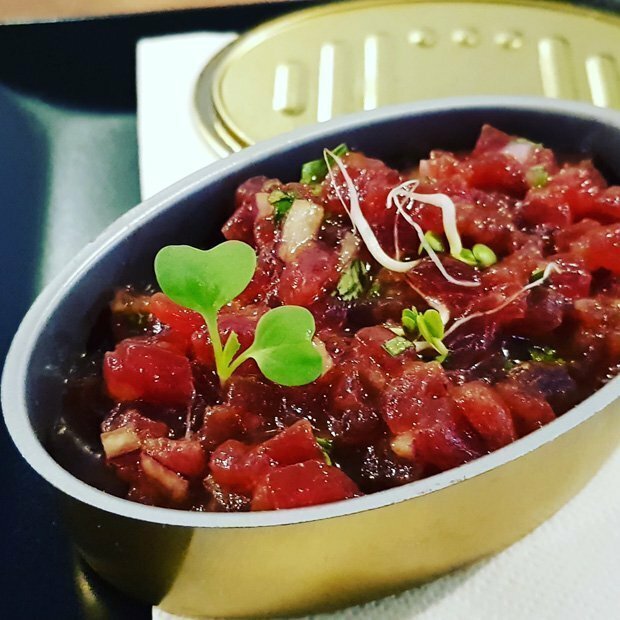 Para repetir….destacaría de su cocina moderna la buena materia prima, la estupenda elaboración de sus platos y la excelente presentación….de la carta no sabría que destacar porque todo lo que probamos estaba exquisito pero sorprende el sabor de sus cucuruchos de guacamole y atún rojo, sus croquetas caseras, delicia para el paladar su ensaladilla de langostinos al ajillo por su potente sabor, otra sorpresa por la mezcla de sabores la lasaña de ternera, verduras y bechamel de queso…bueno bueno espectacular su bao con puntillita,…todo ello regado con un buen vino y una buena compañía… totalmente recomendable. This restaurant was absolutely fantastic. A friend mine and I were studying in Cádiz and became regulars because we couldn’t stay away!! The waiters were so sweet and didn’t mind us practicing our spanish with them even though they spoke english very well too. 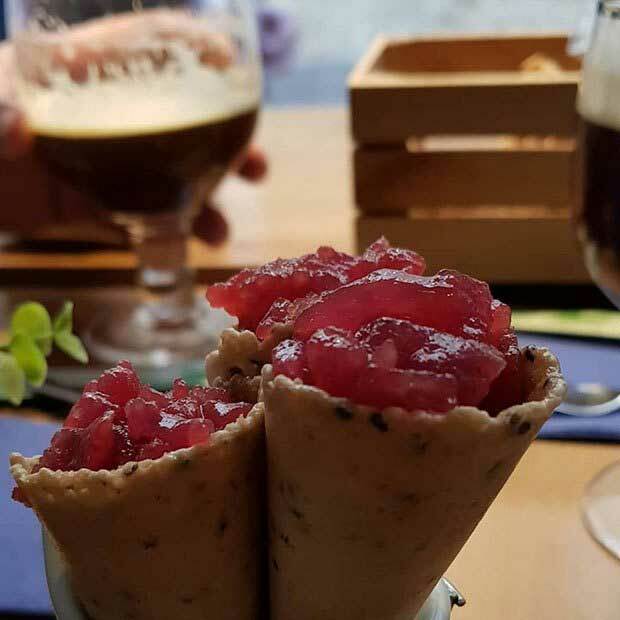 We went there many times during our stay but still ordered new and different tapas every time, each continuously amazing us even more. 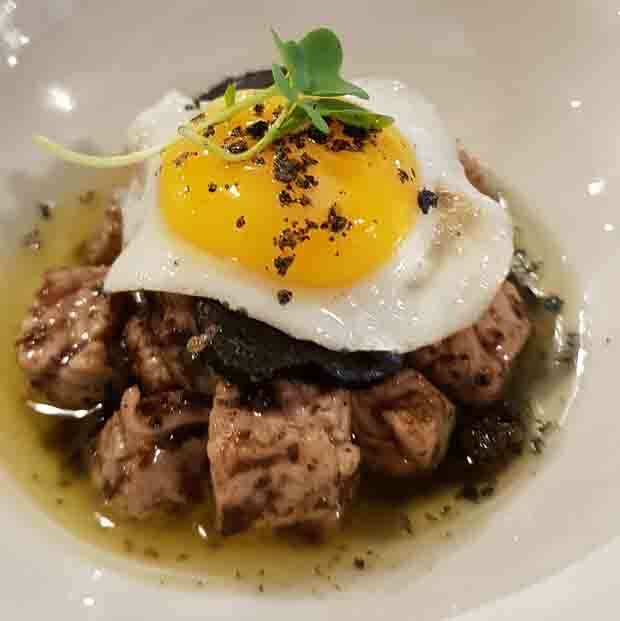 Their tapas stray from classics with a bit of an asian flare at times but defining their food with one region would be impossible. I highly recommend to anyone passing through, this place is a must! !